Socks wouldn't be necessary if I had these. Today is my Friday! So I thought I would leave you with some pretty little gems to look at! 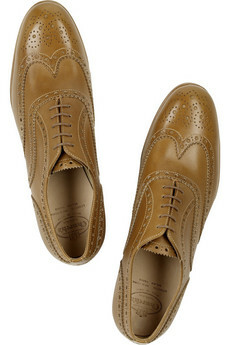 The longer and longer I look at oxford-style shoes the more and more I think I want a pair! Rock 'em with cuffed up jeans, wear 'em with trousers to work, or even sport them with a fun girlie dress! Do any of you have any yet??? I realllllly like the brown of these! 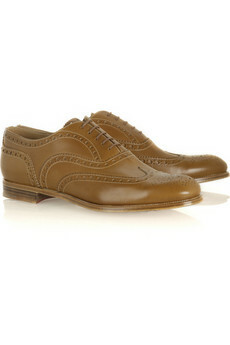 I love them and Im looking for the perfect pair!! Love the shoes in the post below but not a fan of these at all. My sis has something similar (they are very plain) and honestly, I hate them. BUT she loves them. Actually, both of my sisters do! !